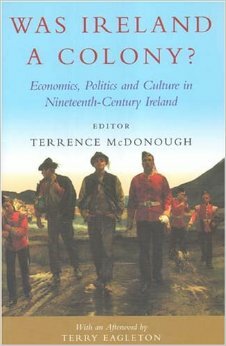 The nineteenth-century history of Irish economics, politics and culture cannot be properly understood without examining Ireland’s colonial condition. Recent political developments and economic success have revived interest in the study of the colonial relationship between Britain and Ireland that is more nuanced than the traditional nationalist or academic revisionist view of Irish history. This new approach has arisen in several fields of historical investigation, notably culture, economics and political history. Contributors: Denis O’Hearn, Christine Kinealy, Charles Orser, Peter Gray, Virginia Crossman, Nicola Drucker, Tony Ballantyne, Sean Ryder, Amy E. Martin, Pamela Clayton, Valerie Kennedy, Willa Murphy, Catherine Wynne, Terry Eagleton. Terrence McDonough is a Professor at the Department of Economics in the National University of Ireland, Galway.